As I am facing tons of non-relevant comments recently, here are some rules, that should help you to understand why your comment was not approved. you write threats of any kind against anyone, blogger or commenter. BECAUSE IT’S REALLY ANNOYING WHEN PEOPLE ARE TALKING IN ALL CAPS. IT LOOKS LIKE THEY’RE SCREAMING, AND I’VE NOTICED THAT GENERALLY PEOPLE WHO TURN TO ALL CAPS FOR TYPING TEND TO TIPE LYK DIS, WHICH IS ALSO VERY ANNOYING. Also, mods, I have a quick question: so I was stupid enough to post a comment without reading the rules, and I found that I accidentally violated the language one. Someone was complaining about English fans not bothering to learn German, so I posted a mostly-German reply to him. The original page (Stripped) is entirely in English. Is my comment okay or not? I’m quite certain it isn’t, and if that’s the case, then I apologize for my massive wasting of your time. what’s wrong with putting my comments in all caps? a new function allowing people to delete already submitted comments is unavailable and will not be implemented in near future. I can only delete incomplete comments manually when approving. The rules are more than reasonable, anyone who’s come to a site dedicated to translating and posting lyrics written by a band is assumed to either have an interest in the band (whether positive or negative) or be a fan interested in learning more and reading interesting discussion. I don’t mind saying I avoid forums everywhere as much as possible specifically because of the LACK of above-mentioned rules. I read through all the comments on Buckstabu and for the first time ever on a forum, got to the end without wishing lightning to strike me down. External, thanks for the logical pruning of the ever-growing comment tree. Can I make a suggestion please? Can we be able to delete our own posts? I accidentally posted an incomplete comment on Buckstabu and immediately looked to delete the incomplete FIRST post (I mashed the mouse mid-sentence on my laptop touchpad). If you’re looking over my comments for Buckstabu, can you trash the one ending at “and” and leave the other two if they don’t violate the rules in your estimation? I may have double-posted depending if anyone else submitted in between. Both text links and bold text are enabled. Regarding comment editting: it is not possible, every comment is being moderated and once approved, ther is no possiblity to edit it. But then again, a new suggestion: allowing users to edit their posts? I agree with EXTERNAL and THRASHMETALGOD, the whole “Du hast” meaning debate is really annoying! Please, moderate the spanish page too. It’s awful. OMG External , can you tell me where can i meet Rammstein !!! 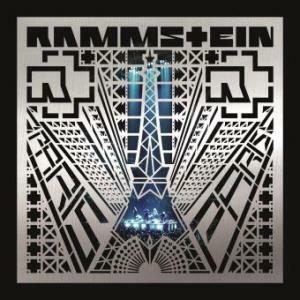 , you are the best Rammstein member .. but i want to meet the rest .. Please Rammstein .. COme to Cydonia, Mars!!! I once ate a worm .. I hate bloggers and i will shut down their website ..
Si tu comentario esta en otro Idioma ..
Find any of those comments i made annoying ..
THEN .. YOU SHOULD NOT COMPLAIN ABOUT THE RULES !!! Good! I hate the whole Du Hast meaning debate….people who take a badly translated english version and use it as their gospel….thats people who arent real fans…..but anyway this isnt censorship….that would be removing personal opinions because the mods dont like it…..thats not whats happening here…….this is merely deleting posts that are either irrelevant or stupid….I mean who writes “Please come to our town” on a site done by fans for fans which has little to do with the band or management except for the devotion we show as fans? MORONS! The fact is if the band will come to your town you will find out in due course so quit your whining. And I will apply one more rule: no more talking about “Du hast” meaning. Some people must be real idiots to discuss the topic over and over again…READ BEFORE YOU WRITE. @ Ramm-Fan – So what you’re basically saying is that you want the admins and mods here to waste their time sifting through rubbish which has absolutely no relevance to the subject it was posted under when they could be doing more important stuff i.e. posting news updates etc.? It’s not much to ask that everyone has some respect for the site and site editorial team (who by the way, do all this work for FREE). On a lot of other sites, comments with no relevance are just deleted whereas External and the rest of the team have put up with stupid comments thus far and are so sick of it that they have to adopt these rules which, in my opinion is very fair. No one wants a site cluttered with useless comments. If you don’t want your comments censored or removed, make sure they are relevant to the subject and include meaning and justify you using your time to post them in the first place, and as you said yourself, have an opinion that matters. I suppose I can find my news elsewhere if my comments are going to be censored. Anything other than hatred/racism and advertising/spam in a comment is free speech to me. You shouldn’t tell people they can’t talk, you should ask their parents to educate them on how to have an opinion that matters. Anyways, just my opinion, others may differ.